“Suicide is one of our most painful, difficult, confusing and wounding of human experiences. Dr. Adele McDowell addresses this topic with love and beauty. She non-judgmentally restores empathy, compassion and understanding. She courageously offers deep tending in a “place of primal pain.” And she is comprehensive, sharing the history, complexity, universality, and even positive dimensions of this mysterious act. “No topic could be more timely than suicide. 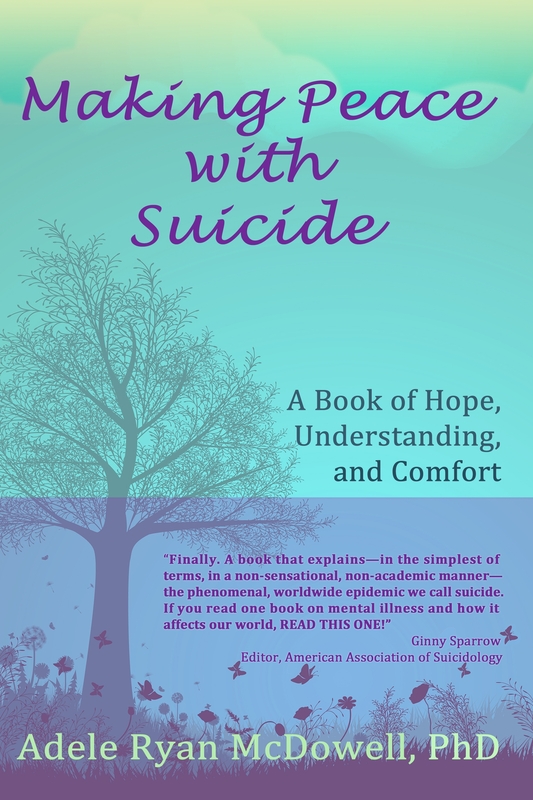 This remarkable book addresses people who have contemplated ending their lives as well as those who have to deal with the aftermath of those who succeeded. But it will also be invaluable to mental health workers and military chaplains, especially those who deal with young people who have been bullied and veterans with PTSD.